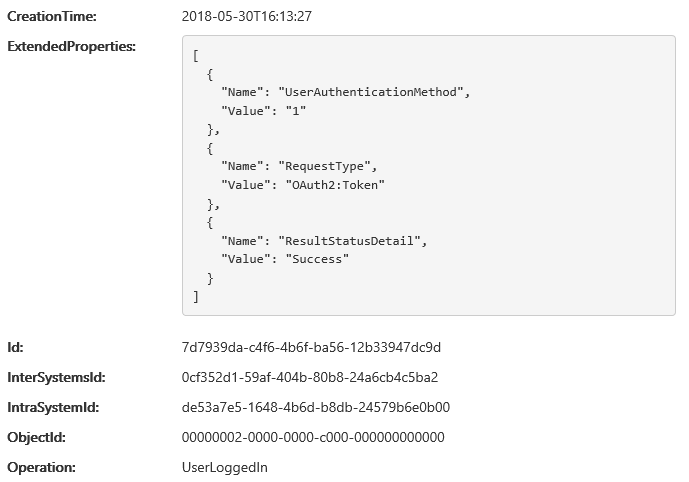 Finally, we are able to block users and applications from using legacy authentication protocols to access Office 365. 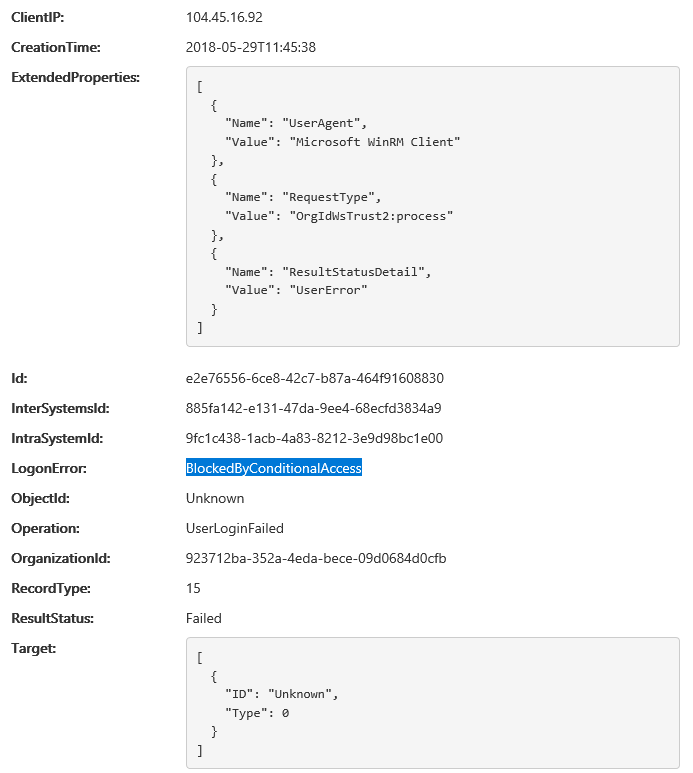 This is made possible thanks to the improvements made in Conditional Access, namely the new “Other clients” condition that is currently in Preview. Unlike other CA conditions, the “Other clients” condition can only enforce the “block access” control. 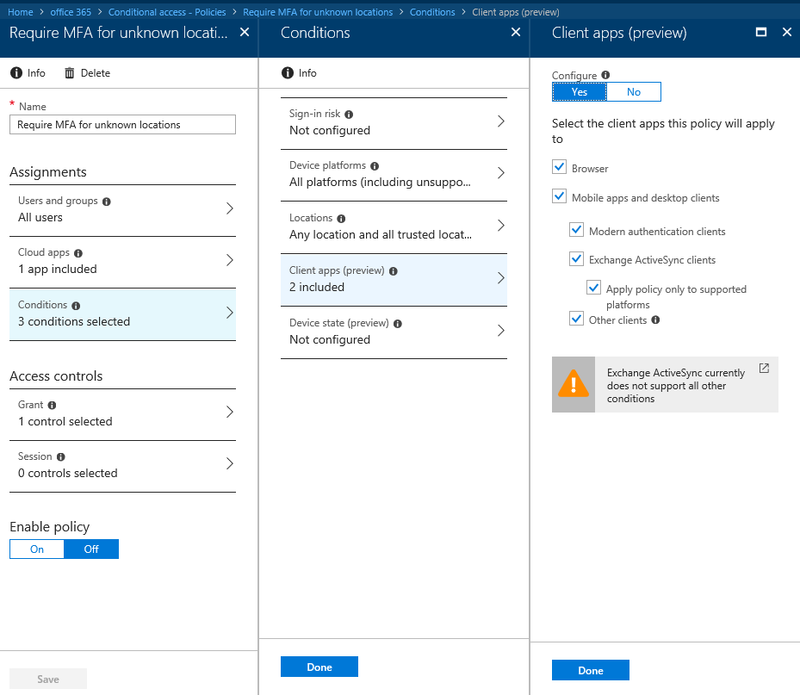 Technically, it can still be configured with any of the controls supported by Conditional Access, however the only control that will actually work is “block access”. This is because none of the other controls have support for legacy authentication and all of them depend on Modern authentication to work correctly. The below picture illustrates how to get to and configure the new condition. Basically, open any existing CA policy or create a new one, click the Conditions entry on the left, click Client apps, select the Mobile apps and desktop clients checkbox and select the Other clients entry. Adjust any other conditions as necessary. Note that this is just an example, in a real-world scenario you probably want to have a separate policy that blocks legacy authentication in addition to a regular one that enforces MFA for any client supporting Modern authentication. I will continue monitoring the effects of the policy and update the article with additional information later on. In any case, this is one of the biggest addition to the service in a while and will surely help beef up security for any organization using Office 365. Go ahead and adjust your CA policies right away! So rest assured, the “block legacy auth” policy works as expected even for the MSOnline module!